The pitter-patter of little feet running through the house, the morning cuddles and cartoons, the little faces with baby teeth, and being able to watch a little person’s personality develop. Those are some of the things I miss from the toddler years. As much as I want those years back, sometimes I’m grateful they are over. Those were the years of learning, not just on their part but mine too. Every day they would go down for their naps and I would start my research. “How to handle step daughter’s random tantrums?” “What to do with step kids picky eating?” “How to not step on bio mom’s toes, but also have a voice in this co parenting life?” I can tell you that nothing gave you input on what a STEP parent would do, but what a parent would do. I had no idea how to handle these little people and I needed a crash course ASAP. Hubby was always right by my side, there if I needed him. He taught the kids I was someone they should respect and listen to, just like they should with their mom and step dad. I am thankful for that, I feel that truly helped in the munchkins upbringing. As a step mom you have to get to a point and realize that there are times when the bio parents don’t even know what to do, and not having the answer right away is okay. We are all learning how to raise these kids, no one is better then the other, no one has all the answers. So, we have to work together. Why? Because we all love the munchkins. We want what is best for THEM, and sometimes that means putting your pride to the side. You probably won’t feel recognized at times, you’re going to feel left out, and sometimes you might miss out on things. That’s the brutal truth, but know that when those little people tell you how much they love you….it truly makes up for all of it. Unfortunately, I’m all to familiar with funerals. Growing up I lost a good amount of friends and family to drowning accidents, lots of car accidents, and terminal illnesses. The term “God won’t give you more than you can handle.” has been proven true, time and time again. As horrible as it is, dealing with death from a young age has really made me a stronger woman. Yesterday, my hubby lost someone who was very close to him, he had known this lady and her husband for 10 years and now he stood in front of this amazing woman’s casket and had to say good bye. I can count on one hand how many times I’ve seen hubby cry, and yesterday was one of them. By now I have tears streaming down my face. That is real love people. He has been in love with her since day one. I’m so thankful for my family and for my amazing hubby. Times like these will put everything back in perspective; the sick kids, post op hubby, hectic work schedule. I am thankful my family has their good health. I am thankful I get to experience this life with them. So hold your loved ones close and let them know you love them. You can never tell anyone “I love you” too much. So between making sure EVERYONE gets their right medicine, checking temperatures, making doctor appoitments, being a short line cook, grocery shopping, laundry, work, and all the other hustle and bustle Tuesdays usually brings…..I’m exhausted! I’m going to grab myself a Blue Moon, turn on my Teen Mom from yesterday (I heard Tyler’s vows were ah.maze.ing!) and call it a night! I was nominated by Making Time For Me. Thank you so very much, this is my first award in blogging and hopefully this will help get my blog out there! 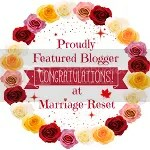 Acknowledge the blog that nominated you and display the award! 1. I love to read books, not books on an iPad or kindle but actual books you can hold. It’s just not the same to me. 2. I’m addicted to pretty much all of The Real Housewives seasons, but I have a sneaky feeling a lot of women are but probably wouldn’t admit it. 3. I’ve broken 14 bones playing soccer. 4. I love bologna sandwiches with ketchup and mustard. 5. I love wine. I love red wine and sweet white wine. A glass of wine works better then any headache medicine in my eyes. 6. I love country music. My first concert was when I was 6 and I saw Randy Travis. 7. I’m a die hard United States Womens National Soccer Team fan. 8. I’m a night owl. 10. I’ve never bought a lottery ticket in my life. 1. What do you feel makes a successful blogger? Passion. I feel if you aren’t passionate about what you write about, you won’t be able to connect to your followers. 3. What one piece of advice would you give to a new blogger? Last time I looked I think it was 60 blogs. 5. Do people in your “real” life know that you blog? Just a few people know. My husband, brother, dad, and two close friends. 7. You can meet any other fellow blogger, who do you choose? I’m still new to this but if I had to choose today I would probably pick Simply, Stepmom. We seem to have some of the same important interests in our lives that other people might not understand. 9. Did you play any sports growing up? If so, what? I played soccer for almost 20 years. I also was on a swim team for 6 years and I played volleyball in high school. 10. What country do you live in? 11. How do you support the blogging community? I try my best to give advice where I can when other bloggers ask for it. 1. Where is your favorite vacation spot? 2. Coffee or Tea, and what kind is your favorite? 3. What is your favorite kids movie? 6. What 3 things make you happy? 7. Who was your biggest influence in your life growing up? 8. What did you eat for dinner? 10. If you had 24 hours to live, What would you do? 11. What song is the story of your life right now? Let me know if you do this, so that I can read your answers!! Thank you again for the nomination!! This quote spoke to me awhile ago and I stumbled across it today when going through my pictures. Always remember you are enough. When I first came into the munchkins lives I would buy them cute little outfits, or toys that I knew they would love. I’m 100% guilty of spoiling them to death, but it took me time to realize spoiling them doesn’t always have to mean buying things. Whenever I come across an obstacle with the kids I usually stop and think “What did my parents do during this kind of situation? How did they handle it?” It was really hard sometimes to remember what they did, but I started realizing I’m remembering memories, but I couldn’t tell you what my favorite toy was at that time, or what brand of clothes I was wearing. Hmm…I might be on to something. As time went on I stopped buying new outfits and toys. Instead we would take the kids to the zoo, ride our bikes around the neighborhood or to the park, or we would play outside for endless hours. I remember thinking these are the things they are going to remember. A couple years ago my in-laws said they weren’t going to be buying big presents for the kids anymore for birthdays and holidays, instead they want to do family trips, build memories instead of buying toys that will be played with maybe a handful of times and then tossed aside. What a brilliant idea! We have gone to beaches, cruises, and aquariums. I honestly will never forget the cool things we have done so far, and I know the munchkins won’t either. It is hard in the beginning when you feel like you are constantly competing, I mean when the ex wife’s mother buys the kids just about anything they want, along with any movie they ever want to see, it’s hard to explain to the kids life isn’t really like that. Life won’t just hand you things you haven’t earned, and hard earned money shouldn’t be spent so frivolous. Deep down in my heart I know they will realize all of this stuff when they are older, but for right now, it’s hard to compete. I keep telling myself buying their love won’t work, and the memories their dad and I make with them will. It’s honestly not a competition for love, it’s more the principle of the matter. What are we really teaching our children/grandchildren when we give and give and give to them, even when they might not deserve it? I understand they are kids and grandparents are “suppose” to spoil grandkids, but where is the line? I don’t want our children growing up thinking they can just HAVE whatever they want. You gotta earn it, and when you do, you feel all of your hard work paying off. Sitting here in the waiting room, waiting for hubby to get out of surgery. I’ve never seen him extremely ill and I am very grateful he has always had a clean bill of health, but seeing him hooked up to IVs and a hospital gown can really tug on your heart strings. Today is the day we have been waiting for. We have been waiting years for this procedure. (reference my 6 More Days entry) This is our time. All of our research, planning, and saving are now coming together. This is it. My anxiety is through the roof. I’m not scared, just anxious. It’s like when you’re little, and you ask Santa for that same gift every year for Christmas and never get it, but this year….this year you get the gift. Deep breaths. Everything will be okay. Positive vibes and prayers have helped wonders. 1 step done, now on to the next one! I spent some time with my dad this past weekend. We normally have lunch dates and things planned, or the kids and I will go over to his and my step mom’s house for a Sunday dinner. I am extremely grateful to have a set of parents who live close to me. I would be lying if I said I wasn’t a daddy’s girl. I am and have been a daddy’s girl since day one. I have two younger brothers, and we are two and four years apart. We all have our special bond with our parents, but the daddy/daughter one is more special then the rest in my eyes. Maybe it’s because I’m the only girl or maybe because I’m the first born, or maybe it’s all of those combinations rolled into one. Growing up I was very fortunate to be able to play a sport year round. I played travel soccer and played all over the United States. My dad and I would go to soccer tournaments in different states almost every other weekend from when I was 8 years old until I turned 17. Traveling on the road and having that special time alone with my dad are some of my favorite memories. We would talk about sports, music, school, my annoying brothers, my annoying mother (let’s be honest, teenage daughters and their mothers don’t exactly get along that well), and anything else I was going through at that time. Sometimes we would go out to dinner with the team and sometimes we would just go somewhere by ourselves. One of the first life lessons I can remember learning from my dad was when the whole team went to an Italian restaurant in North Carolina. We all walked in and sat down at this huge round table. The menu was extremely pricey, and I really didn’t see anything on the menu I liked. Clearly how I felt was written all over my face, and my dads. He asked me if I wanted to leave and go somewhere else (it had nothing to do with money, but by my reaction to being in the restaurant), I was nervous because I didn’t want to be embarrassed and leave but I also didn’t really feel comfortable there. I told him yes and we both stood up and my dad said we were going to go somewhere else, and the other parents just gave us a “look”. My dad found this awesome BBQ place and we had the best ribs that I’ve ever had in my life! Lesson learned: you don’t always have to do something because everyone else is doing it, if you feel uncomfortable in a situation it is always okay to get up and leave. What other people think, doesn’t matter. How YOU feel matters. YOU matter. I have so many special memories with my dad, our Christmas tradition of going shopping for the past 20+ years, driving to Kentucky to visit my youngest brother and grandmother, random lunch/dinner dates, going to the shooting range, walking around on our family owned farm, my favorite college’s basketball games, or when I had my first boyfriend who broke my heart and the only thing my dad knew what to do or say was “Lets go shopping!”. He taught me to respect my parents, my elders, and most importantly myself. My body was a temple, and I should always treat it that way. He taught me the meaning of family and love. How no matter where he was in the world he would be there for me. “You just call out my name (DADDDDDYYYYY), and you know wherever I am, I’ll come running, to see you again. Winter, Spring, Summer, or Fall, all you got to do it call, and I’ll be there, yes I will, you’ve got a friend.” Yes he would literally sing me those lyrics. He loved my mother. He loved her and showed my brothers how to love and respect your wife. My brothers to this day will always open a door for a woman, no matter where they are at. It’s just something my father instilled in them, and my mother will brag about that til the day she dies. I could go on and on about all the amazing things my father has done for me growing up. All of the things he did help mold me into the strong woman I am today. By showing me all of these amazing examples and life lessons it helped guide me in the right direction of the kind of man I wanted to marry, the kind of man I deserved. I had high expectations and I am thankful I found a man who met every single one of them. So thank you, Daddy. I may not always need you as much as I did in the past, but I will always be your little girl, I will always be your princess.